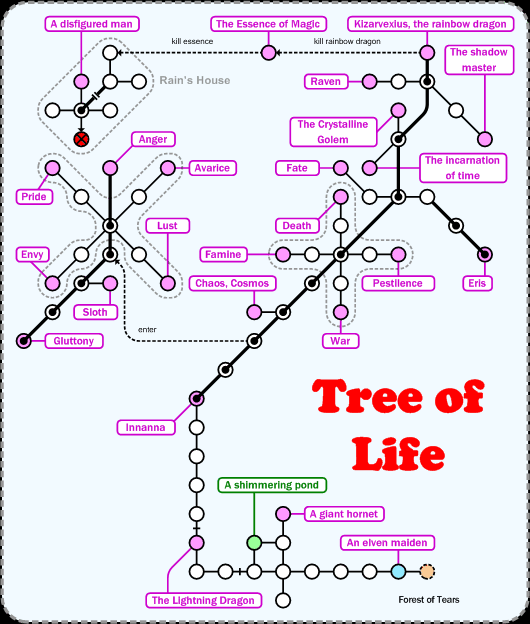 The Tree of Life, a fantastic near-av leveling area. Some good eq, too. I wouldn't try to take on any of the sins without stun, though. Killing the rainbow dragon or the essence will only trans the char that lands the killblow. Walk ( 50w, 5s, 3w ) to get from DH to the room marked in blue.